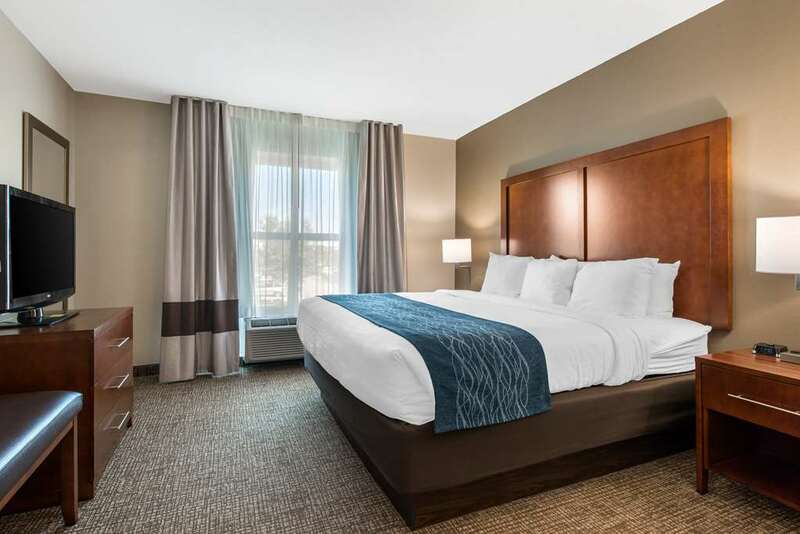 Whether your trip to our hotel in Tavares, FL is work-related or you are looking for a vacation hotel for a getaway, you will have a relaxing stay at the Comfort Inn and Suites Tavares North. Amenities include free WiFi, free hot breakfast, an exercise room, outdoor pool and meeting space. Guest rooms feature a microwave and refrigerator, USB port, coffee maker, work area and flat-screen TV. We are located near Orlando. Nearby attractions include Orange Blossom Cannonball, Waterman Hospital and Cancer Center, Mount Dora, Lakeridge Winery and Jones Brothers Air and Seaplane Adventures You can also earn rewards like free nights and gift cards when you join our Choice Privileges Rewards program. Pets allowed 20.00 USD per pet, per night. Max 30 lbs, 2 pets per room. Kennel available 4.6 miles away. An attraction built for those who want to see Florida alligators without having to go outside into Florida heat, rain, and bugs.